Sam Cohen of the Huffington Post says it best in his Article “Four Things you Need to Know about Medical Billing“. Here is our take on his four excellent points! 1. Medical billing is the bridge between your healthcare provider and insurance company. When it comes to medical billing, one of the greatest challenges is keeping up with the changes in Medicare, Medicaid, and third party payers. It is a full-time job to make sure the medical office is following the proper policies and protocols required by each payer. APEX stays up to date on the latest changes in regulations and requirements to maintain compliance and ensure the submission of clean claims. APEX is firmly rooted in and informed by the medical industry. We are in tune with what medical professionals and organizations need and provide it in an efficient, intuitive, and thorough manner. Our staff has the experience and flexibility to stay in touch with the latest medical billing industry trends and technology. 2. Good medical billers boost company bottom line. 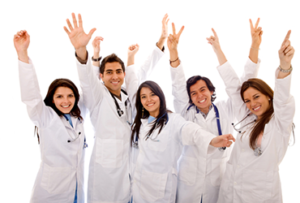 By outsourcing medical billing services to APEX you will save thousands of dollars in annual salaries and benefits. APEX charges just a small percentage of your collections, which is less costly than what you would pay a medical billing staff to provide the same services. We do not get paid until you get paid. APEX will ensure that your claims are accurately submitted in a timely manner. We are equipped with the knowledge to properly submit your medical claims. This has the net effect of reducing the number of rejected or denied claims due to medical billing errors. Things like charge entry errors or payer reimbursement issues can be identified early before they spiral out of control. APEX provides transparency and the ability to run any report 24 hours a day. This gives a sense of control that most practices currently do not have. APEX will ensure that claims are electronically submitted to all possible carriers and are set up to receive ERAs, further reducing turnaround time. Achieving the highest reimbursement possible in the shortest amount of time puts money in the bank, not on the books. 3. Medical billingmakes use of specialized software. APEX can recommend software or we can use the software your practice is currently using. 4. Sometimes medical billing is outsourced to medical billing services. When you take on the task of your own medical billing service, chances are things don’t get processed as quickly as you would like. Outsourcing to APEX allows a continuous, steady cash flow of claims coming in and going out. This means fewer errors and faster processing, so you get paid faster. A steady cash flow is important for your bottom line and the success of your medical practice. Reducing the burden placed on your front office staff by outsourcing to APEX can increase productivity, efficiency, and employee morale. It can also increase patient satisfaction by improving patient flow. Your patients will be happy because they will receive uninterrupted courteous and professional assistance from our billers regarding their billing questions or issues. With extensive knowledge coupled with years of experience in providing medical billing services in Phoenix Arizona, our billers possess all the qualities to help healthcare providers and medical practices maximize their reimbursements and minimize their costs. If you are interested in outsourcing medical billing services, or if you need professional practice management solutions, or healthcare consulting expertise, contact APEX Medical Reimbursement Solutions today at (602) 441-2263. Keep up with the latest news regarding medical billing and coding, including ICD-10 and CPT code updates, electronic claims, Medicare audits, RBRVS, and more. You’ll also get practice management tips to help you run an efficient, profitable practice. Copyright © APEX Medical Reimbursement Solutions Inc. All Rights Reserved.